Here is a quick update to the progress of the Kodi the Starfish short story art. 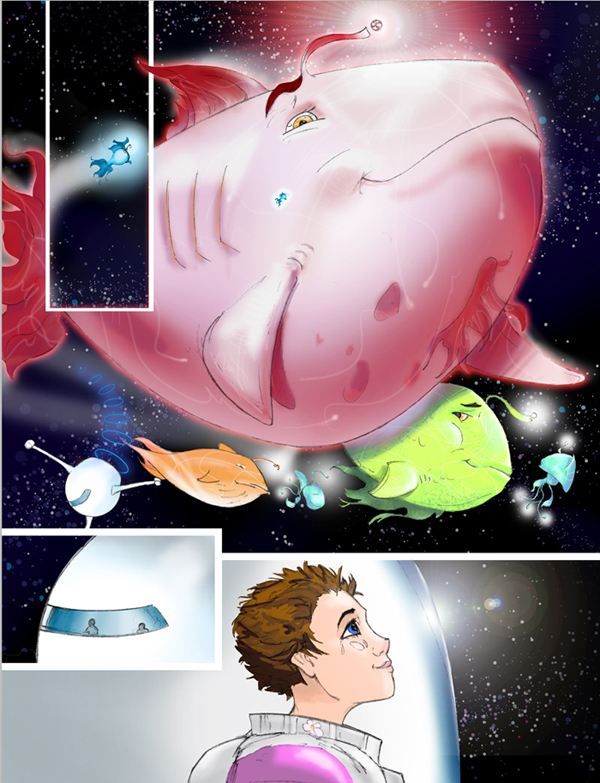 I have finished most of the little fixes to all of the line work and started to color the first page. Thanks to the help of my community friends over at illopond.com, I have improved the digital painting quality dramatically. I have a few things to clean up on it and this page will be finished. With that, I will have the color foundation established to apply to the rest of the pages. I will keep you all in the loop at these progress. I apologize for being so infrequent but I wanted to show you the results of these efforts. Thank you all and I will post more soon! Link to the rest of the contributors for this anthology is here! My next regular Captain's BLOG! post should be, "Captain's Orders #2 - Waist-ed!" and that may be after I get some more progress posted for Kodi. Page now finished and here it is!